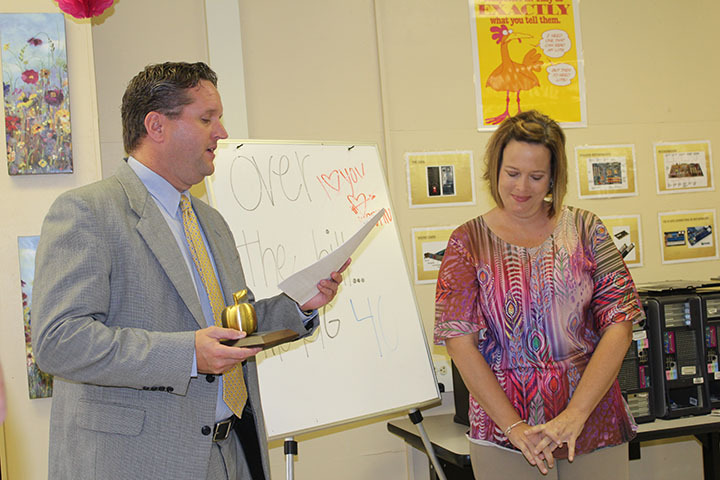 ENTERPRISE — Surprise and tears marked the awarding of the first Golden Apple award of the school year on Thursday. 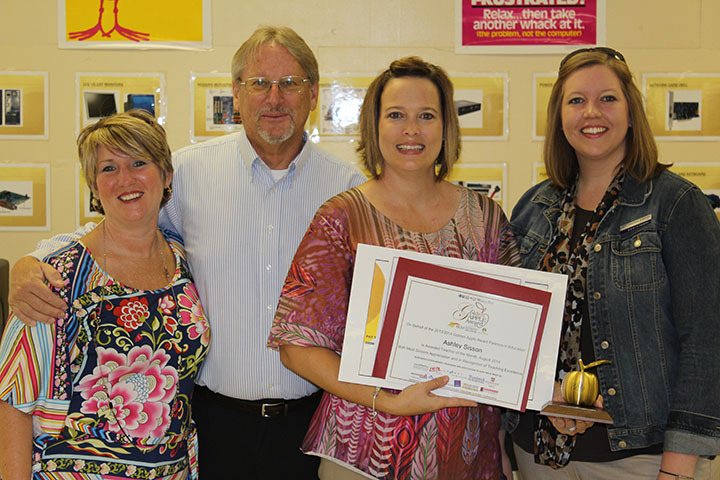 Ashley Sisson, a 17-year veteran educator was surprised in her classroom at Enterprise High School with the award. 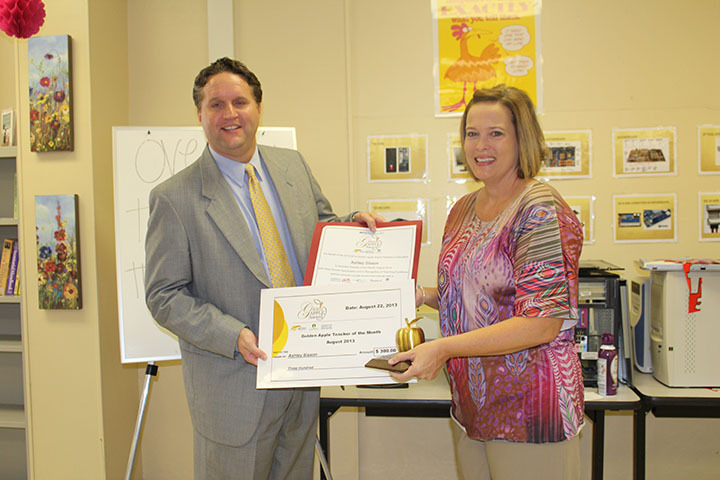 Sisson, who teaches Information Technology, was nominated by the mother of a former student. 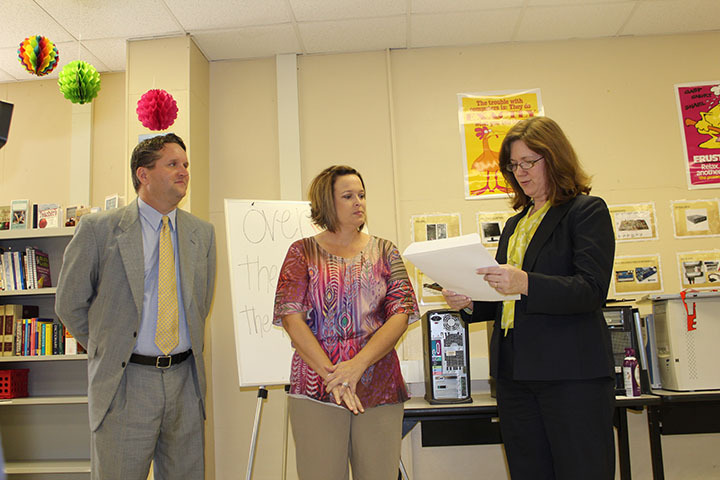 "Mrs. Sisson goes the extra mile for her students," wrote Karen Williams in her nomination letter. "Actually she goes miles and miles for her students." 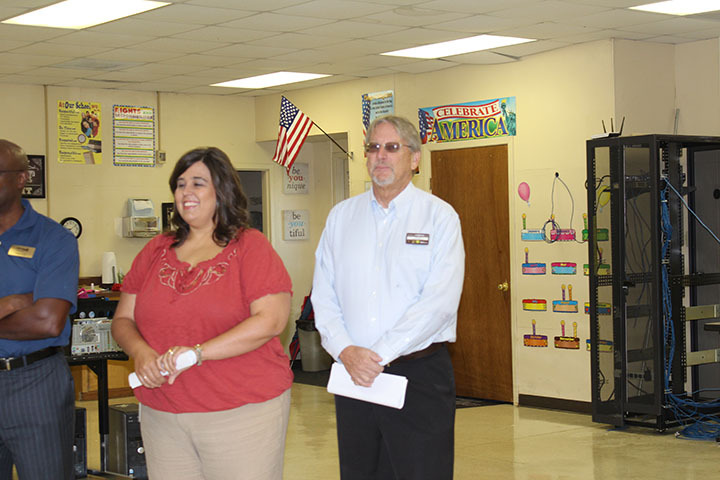 Sisson is also the advisor for the school's Future Business Leaders of America club and led fundraising efforts earlier this year when a student qualified to go to the national FBLA convention in Anaheim, California. 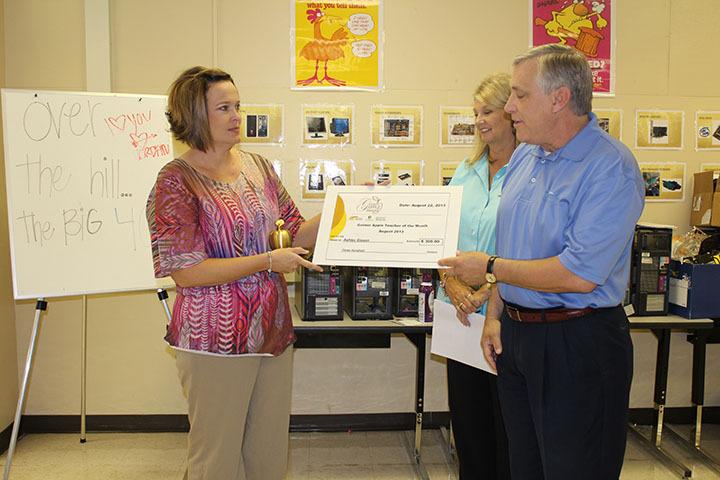 They raised enough money to cover travel expenses and the student had a memorable trip, according to Williams. 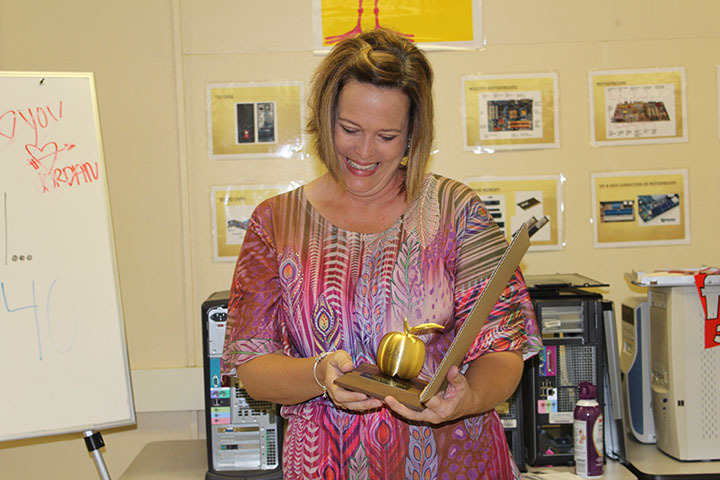 During the presentation of the Golden Apple Award, a surprised Sisson received a Golden Apple trophy, a $300 check, a voucher for $1,000 in school supplies and she will automatically be in the running for teacher of the year, which will be announced in May. 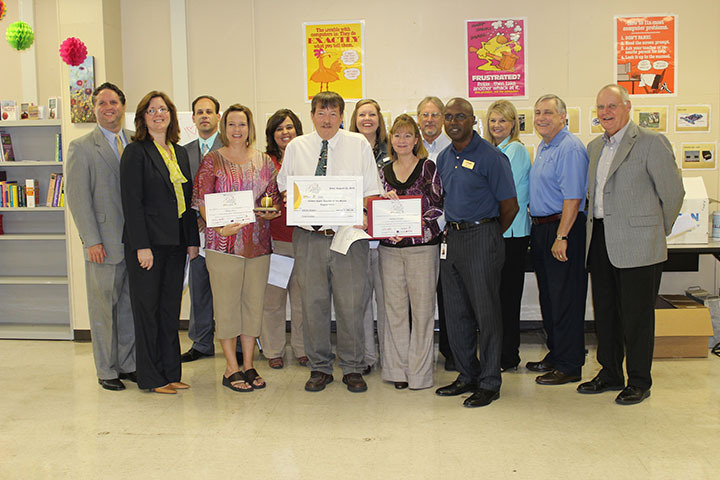 Mike Weathers, principal of Enterprise High, said he was pleased that such an outstanding teacher was picked for recognition. 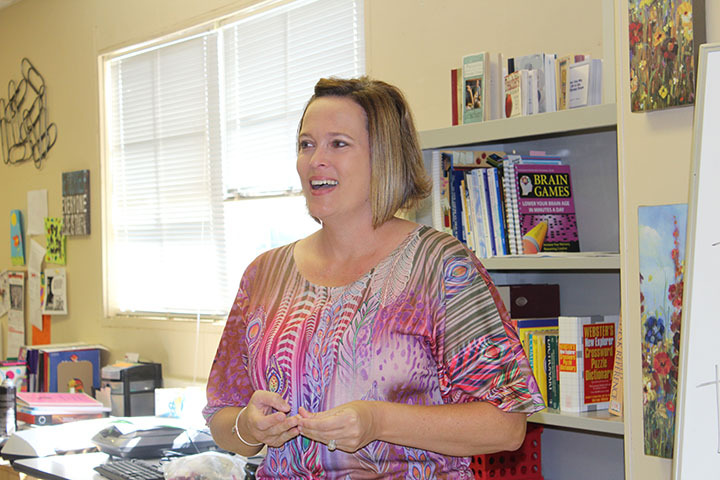 "I'm very excited for Mrs. Sisson. She does an outstanding job here. 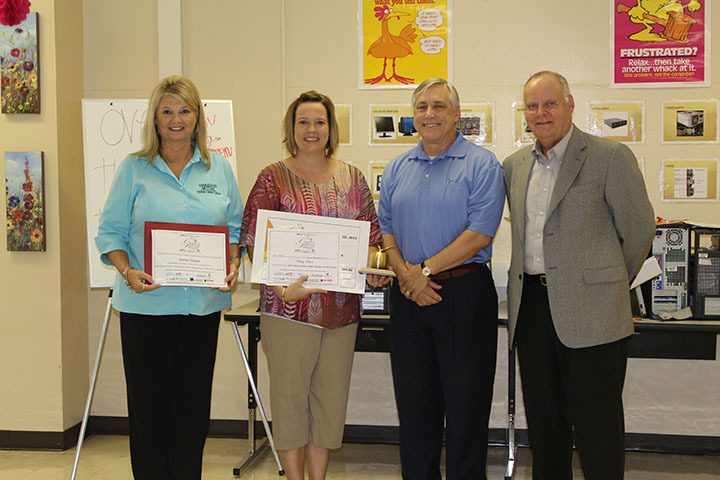 She is very involved in everything," Weathers said. "She's involved in all the booster clubs. She takes kids to testing for FBLA and she takes them to Jackson. She has very high expectations for them and they normally come up to the expectations." Tristen Turner has taken IT 1 and IT 2 under Sisson.